New Delhi: State-owned Hindustan Petroleum Corp. Ltd (HPCL) and Petronet LNG Ltd are eyeing hydrocarbon infrastructure opportunities in South Sudan and Mozambique as part of India’s efforts to step up its presence in energy-rich Africa. “We are interested in setting up infrastructure in South Sudan. We are looking at LPG plants and pipelines. We were also approached by the government there to set up a refinery, but we have declined it for now," S.R. Choudhury, chairman and managing director of HPCL said on the sidelines of the third India-Africa hydrocarbons conference, organized by the petroleum and natural gas ministry in association with industry lobby Federation of Indian Chambers of Commerce and Industry. HPCL plans to set up pipelines connecting the oilfields in the newly created South Sudan with the refining and other infrastructure in Sudan. Petronet LNG has expressed interest to Bharat Petroleum Corp. Ltd (BPCL) for setting up a liquefaction facility in Mozambique, said A.K. Balyan, chief executive officer and managing director of Petronet LNG. “We are looking at a capacity of around 5 mtpa. It is a good opportunity and we expect the things to progress in the next six-eight months," he said. BPCL’s subsidiary Bharat Petro Resources Ltd in 2008 bought a 10% participatory interest into an offshore block in Mozambique. There has been a discovery in the block. India’s efforts are aimed towards countering the growing Chinese influence in Africa and secure hydrocarbon assets in the continent. India and China, both growing economies, need fuel reserves to feed their soaring energy needs and this has pitted them in a geopolitical race to acquire hydrocarbon resources. The Chinese have a significant presence in Africa’s hydrocarbon sector and some experts partially attribute this to a failure on the part of India to actively engage African countries, both politically and economically. Finance minister Pranab Mukherjee had recently said that the relationship with African nations is of “mutual respect and cooperation". He also talked about “mutuality of interests", and expressed India’s willingness to participate in the entire hydrocarbon value chain in the resource-rich countries. “India seeks a new partnership. I underline the word partnership for mutual respect and cooperation…we have been trying to diversify our source of oil and gas so that we are not dependent on one source," Mukherjee said. India’s demand for liquid petroleum products and gas would grow by 4.7% and 14%, respectively, over the next five years, according to the petroleum ministry. The need for diversification of supplies is critical for India as it imports more than 80% of its energy requirements. Consumption of energy in the country is likely to double by 2030 to the equivalent of 833 million tonnes (mt) of oil, according to an International Energy Agency forecast. Africa accounts for 9.5% (132 billion barrels) of the world’s proven oil reserves and 12% (478 mtpa) of the production. 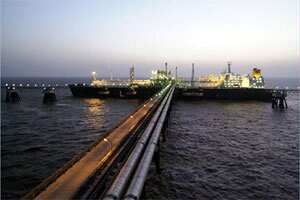 Around one-fifth of the crude imports to India came from Africa. India’s import of crude oil from Africa rose from 22 mt in 2004-05 to 35 mt in 2010-11.